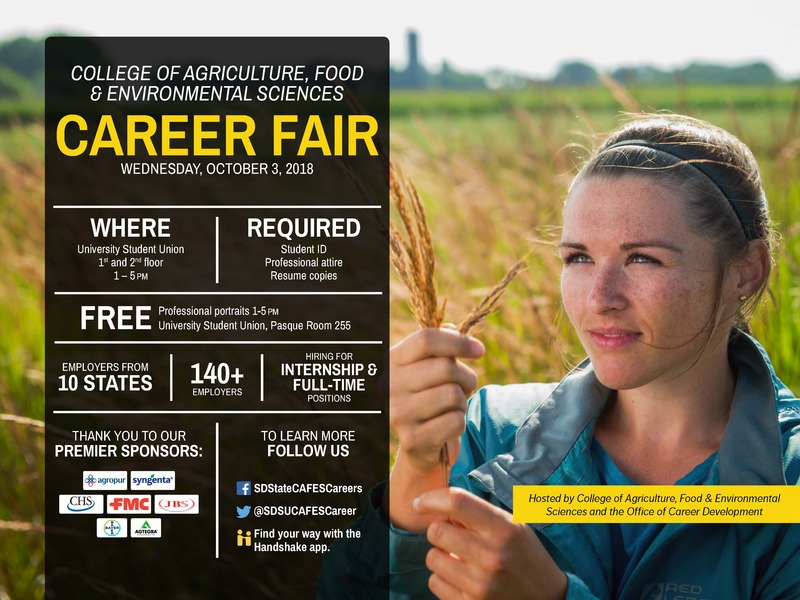 The SDSU Ag, Food & Environmental Sciences Career Fair is an annual event that connects employers and students. Employers highlight their internship programs, career opportunities, and share information about the role they play in their respective industry. On-campus interviews will be held following the career fair on Thursday, October 4. Over 140 employers are expected to attend. Hosted by the College of Agriculture, Food and Environmental Sciences and the Office of Career Development.